ST. PETER, Minn. – The No. 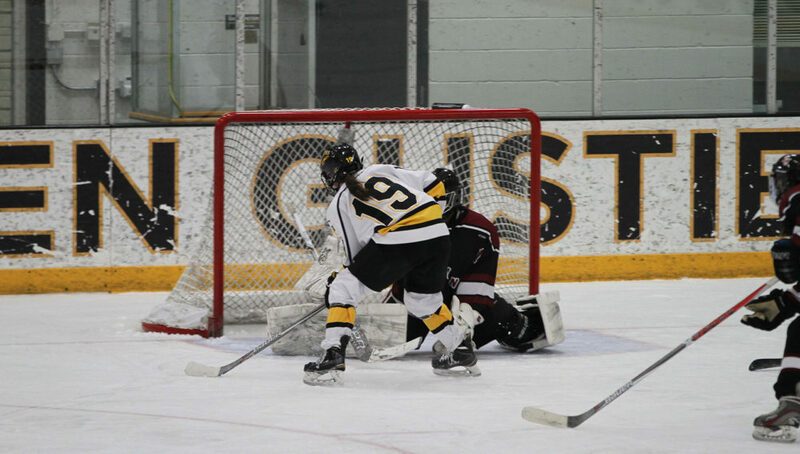 9-ranked Gustavus women’s hockey team was led by two goals from Allie Lewis (Sr., Kearney, Neb.) en route to a 3-0 shutout win on senior night over Hamline University Friday evening at Don Roberts Ice Rink, improving its record to 16-5-3 overall and 12-2-3 MIAC. With their second-second straight 3-0 shutout, the Gusties move their unbeaten streak to 12 games; going 10-0-2 since the last loss. 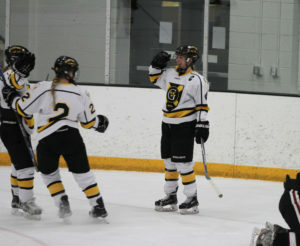 Coming into the game, the Gusties held an undefeated mark of 8-0-1 when leading after the first period. 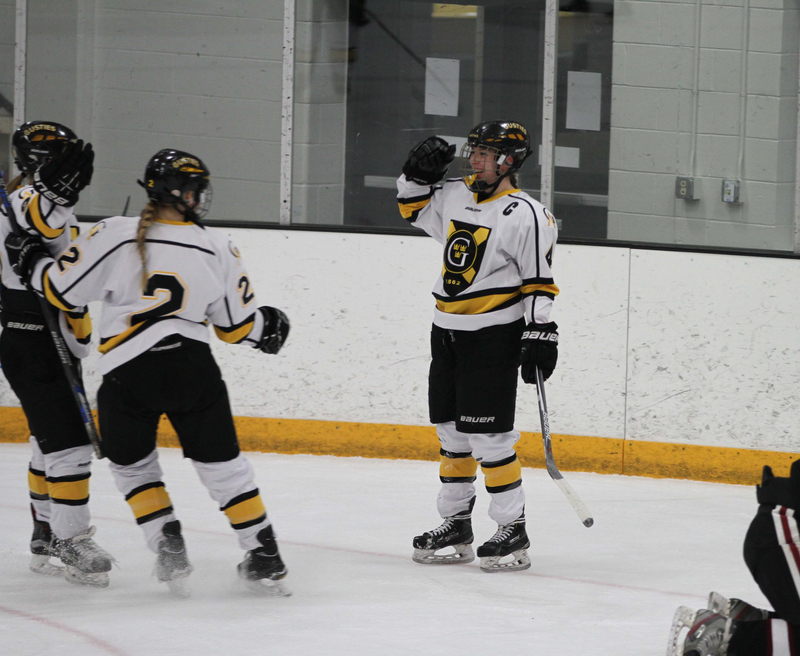 After taking a 2-0 lead over the Pipers into the first intermission, Gustavus stood by that streak and held the lead for the final 40 minutes. 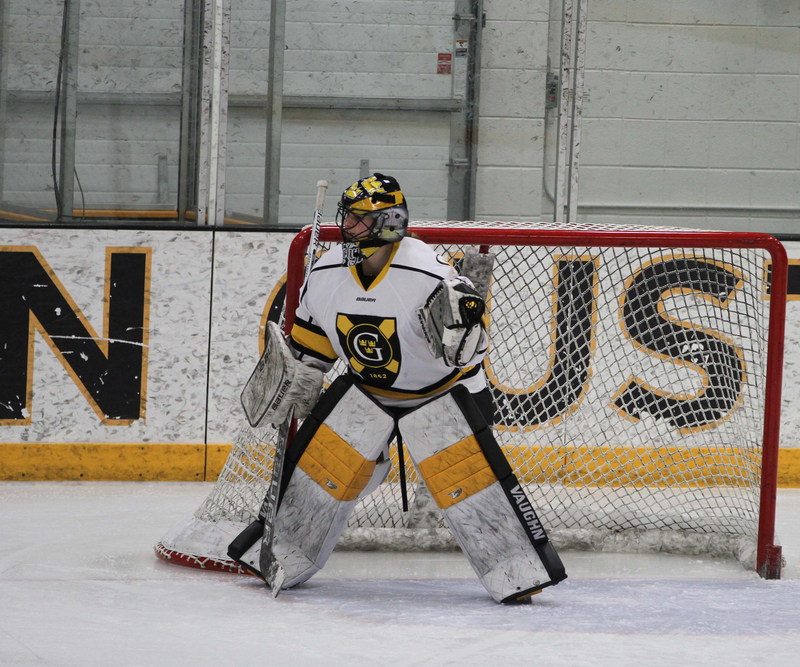 Gustavus shut down the second-highest scoring team in the MIAC for their ninth shutout win of the season, allowing just five shots from Hamline each period. The Gusties ended up outshooting the Pipers by a margin of 37-15 in the game. The eventual game-winner came at 13:33 of the first period. Diana Draayer (Jr., Deephaven, Minn.) tapped in a rebound after a Courtney Bethune (Sr., Fort Frances, Ontario) shot from the point to post her fifth goal of the season. A few minutes later following Draayer’s tally, Erica Power (Jr., Lakeville, Minn.) made a nice individual effort to get past a Hamline defender and nearly convert a great goal before the puck made its way back towards the slot where Allie Lewis was waiting, and put home her seventh goal of the season. Owning the two-goal lead going in the second frame, the home team’s momentum stalled a bit although its strong defense did not as both teams went scoreless in the second period. The Gusties and Pipers both went 0-1 in power play opportunities in the second, and 0-2 in the game. In the third period, Allie Lewis tallied her second of the game shorthanded at the 9:54 minute mark to give Gustavus the 3-0 cushion. The co-captain turned on the jets toward a loose puck in the neutral zone, split two Hamline defenders and beat Piper netminder Jaime Hathaway to cap off her senior night with the first two goal game of her career. Emily Gustafson (Sr., Elko, Minn.) notched four shots on goal, while Bethune recorded an assist along with Lewis’ two goals as all three seniors contributed to the win on senior night. Goaltender Amanda DiNella (So., Oakbrook Terrace, Ill.) turned away 15 Piper shots to record her conference-leading eighth shutout of the season, moving her record to 11-2-2. DiNella is one shutout away from tying the program record for most shutouts in a single season. Breanna Scavo registered nine shutouts in 2007-08. The Black and Gold closes out the regular season at Hamline tomorrow afternoon, in search of a win to clinch the MIAC regular season championship. Puck drop is scheduled for a 2 p.m. at Oscar Johnson Arena in St. Paul.